Becoming a contractor can be incredibly fulfilling for one in the construction trade. Starting a business means that one is now their own boss and does not work for someone else. There are instances, however, in which a Phoenix Contractor’s license may be put at risk. The loss of such a license would be a death knell for the business. Contacting a professional licensing defense lawyer, therefore, is crucial to both the person and the company. Bretton Barber is a Phoenix attorney handling such cases. He understands that you are facing a serious situation and he will take it seriously. Contact us today to schedule an initial consultation. 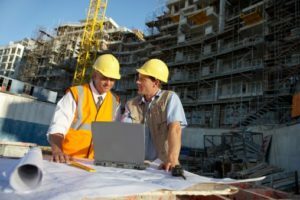 There are a number of reasons why a contractor may be at risk of losing their professional license. Examples include that they have done work which they were not licensed to perform, they may have been found to have performed work in a substandard manner, or there may be other issues. Whatever the reason is for the complaint being brought against yourself and your company it is important to understand that the loss of your license likely means the end of your business. For this reason it is crucial that you contact an attorney immediately. Disciplinary actions before the Arizona Registrar of Contractors will typically begin with the individual receiving a notice that a complaint has been lodged and a request for information. If the licensing board is not happy with the response then they can proceed by initiating a proceeding meant to suspend one’s contracting license. This proceeding will be held before the Arizona Office of Administrative Hearings and will be heard by an Administrative Law Judge. At the conclusion of the case, which resembles a bench trial, the Judge will issue a proposed ruling to the licensing board. The Registrar of Contractors will then make its final decision regarding punishment. Having counsel to assist you with this process can make the difference between keeping and losing your license. Bretton is a Phoenix lawyer assisting contractors who are at risk of losing their license. Once retained he will develop a plan for investigating the facts of your case. He will interview necessary witnesses and determine the best possible way to mount a defense. At your administrative hearing he will cross-examine those testifying against you and present evidence on your behalf. He understands that this is a stressful time and he will be in regular contact with you throughout the process. Bretton regularly provides clients with his cell phone number, promptly responds to phone calls and emails, and makes himself available to answer questions. Our office is built on the idea of quality representation and this is our promise to each and every client. We also represent professionals in other Maricopa County cities such as Mesa, Glendale, Scottsdale, Chandler, and Gilbert. We also assist Pima County residents in Tucson. Do not make the mistake of thinking that it is “no big deal” when a complaint is lodged against you or your company. Phoenix contractors, unfortunately, sometimes make the mistake of ignoring complaints or notices until the last possible minute. This puts the contractor at greater risk of losing their license. By contacting a lawyer immediately one gives their counsel a greater opportunity to investigate the case and also makes it more likely that the matter will be resolved in a way which preserves the accused’s license while avoiding the hearing process. Do not make the mistake of putting the matter off. Contact a professional licensing lawyer today.